Early this summer, CH gave MH a fig tree to plant in her garden. It was a scrawny thing, kind of Dr. Seuss-like, lanky with a couple of floppy leaves on top. By August it had filled out a bit and even developed tiny fruit. 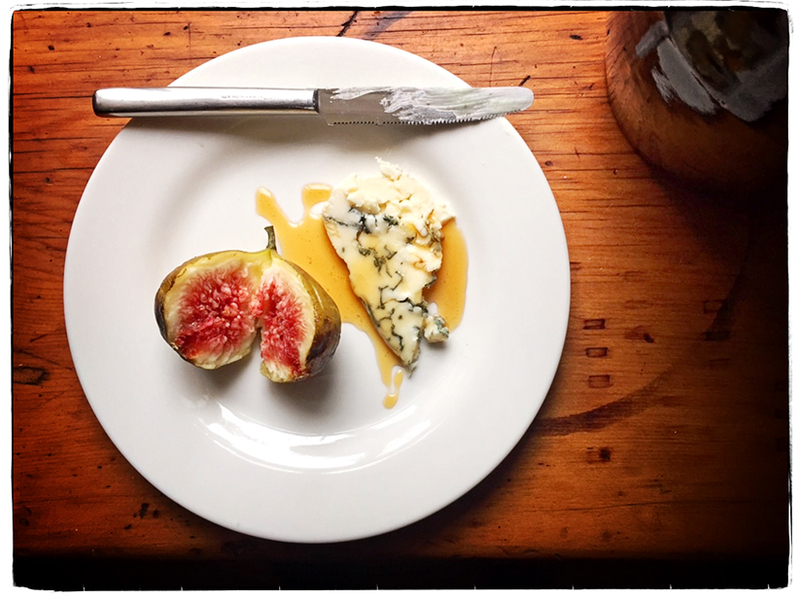 Last week we picked the first ripe fig from the fledgling tree, and today our second. It made a dainty breakfast for two, along with a little piece of Roquefort drizzled with local honey. Despite the rain, the figs keep ripening. Maybe next week there will be two ripe at the same time—then we’ll feast!